So far I have read and posted on three of Kate Chopin's (1851-1904-St Louis Missouri, USA) short stories and her novella, The Awakening. Chopin's stories are normally set in the southern states of the USA, those that left the union in order to be able to continue to have slaves (among other reasons). I find her stories to be very evocative of this era. Her lead characters are women frustrated by the social conventions of her day. One can almost taste the mint julips while sitting on the veranda looking out at the huge live oak trees covered in Spanish moss and dreaming of "the old days". Her work has received a lot of attention lately due in parts to its focus on the issues of women struggling against the bonds of paternalism in the late 19th century. "Desiree's Baby" is one of her most famous short stories. "Desiree's Baby" is set in Louisiana in the years right after the American Civil War (best guess for the date of the story is around 1870 or so). The plot is simple and one must acknowledge a bit of a cliche. A baby is found abandoned on the property of a wealthy land owner. 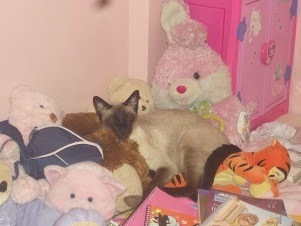 The family adopts her as their own daughter. The family estate employs many black workers over whom the owner of the estate enjoyed "paternalistic control". (Many free slaves never left their posts.) Eighteen or so years go by and the baby grows into a beautiful young woman who attracts a wealthy suitor by whom she had a child outside of wedlock (a big scandal in those days). I do not want to give away more of the plot. The ending is interesting and my interest was kept throughout. Teachers should know the story uses language that is no longer politically correct. If this issue can be dealt with, I think it would be a good class room story. The story can be read online in just a few minutes. "Such a Sweet Old Lady" would stand out as an unfinished story in the hands of your "twist endings" short story writer but for Mansfield it feels finished with perhaps a bit of polishing to come. It is about an elderly woman, now a widow, who has moved in with her daughter. It seems she has come back to New Zealand after living in England for a long time. I think I have used the term "beautiful" in describing almost all her stories and it applies very well to "Such a Sweet Old Lady" which does a wonderful job in a very few pages of evoking the kind of feelings the woman in the story would have had after a life time of independence ends in a room in her daughter's house. I plan to do a post kind of summing up my reasons for doing 65 posts on one author. I will also do a few suggestions as to what you should read if you only want a 1, 3, or 5 story sample of her work. In December I hope to post on a new biography of Mansfield by Kathleen Jones and a new novel based on her life by Joann Fitzpatrick. There will be give- a- ways on both of these books, sponsored by the authors, in December. Katherine Mansfield will have an important place in my own reading life and on The Reading Life from now on. "A Married Man's Story" by Katherine Mansfield (1888 to 1923-New Zealand) is one of the unfinished stories her husband, John Middleton Murry, included in his collection of her work, The Dove's Nest and Other Stories published in 1923, shortly after her death. I am very nearly done with my first reading of all of Mansfield's stories with only one to go. (I am reading the stories for now as they appear in the four books for her stories reproduced on the great New Zealand Electronic Text Center maintained by the Victoria University of Wellington. I know there are a few stories not in these collections and I hope to read them soon. My goal was to read everything online, in part so others can share the experience if they like.) I hope to read a new biography on Mansfield as well as a novel based on her life in December, both of which will be offered in give a way events. "A Married Man's Story" reads like a finished story. I think if this story were among the completed works of Mansfield it would treated as one the best her short stories and would find itself on many "best short stories of the world lists". It may well have an autobiographical import to anyone pondering the marriage of Mansfield to John Murry. It is a bold unconventional look at marriage told from a man's point of view but I think anyone would be made to think about their own relationships by this story. Of course it is beautifully done. I have one short story to go. After I finish that post, hopefully tomorrow, I will do a post in which I suggest five of her stories to read and the reasons behind my selections. It will not be a "best of Mansfield" list so much as a sampling list. I know what the most assigned in schools world wide of her stories are and will take that into account also. 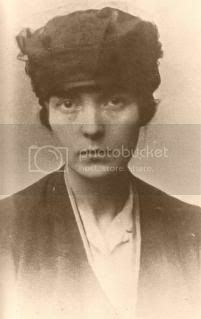 "A Bad Idea" by Katherine Mansfield (1888 to 1923-New Zealand) is one of the 15 unfinished stories that Mansfield's husband, John Middleton Murry, included in a collection of her work The Dove's Nest and other Stories that he published shortly after her death in 1923. "A Bad Idea" feels like a plotted story about 60 percent finished. The story is told through a male narrator who is concerned about the hard to understand health complaints of his wife. I hate to say this but I think many married men have had such quandaries! The story is, of course well written. It seems to be leading up to something that will change the lives of the man and wife but we never find out what that might be. I am keeping my posts on the unfinished stories to a minimal length. Two unfinished stories to go! Like many others, I first read Stephen Crane when I was assigned to read The Red Badge of Courage for a class in American Literature. As long ago as this was, when I read his Maggie: Girl of the Streets (some would count this as a short story, others as a novella) the feel of the prose of Crane came back to me. Crane is at the start of the American tradition of newspaper man turned literary. I am currently reading through Ford Madox Ford's magisterial work The March of Literature. Ford was an incredibly well read person with an amazing memory for what he read. His judgments of the quality of works may be idiosyncratic at times and should not be taken as the word from on high but I take whatever he says on a writer very seriously. Ford classifies Crane (1871 to 1900-New Jersey, USA) as "American Naturalism" in the same vein as Zola in French Naturalism. Ford has a simple definition of "Naturalism"-literature that exposes the fact that all people are corrupt and evil! Of course Ford is being a trifle facetious but not all that much. In The March of Literature Ford very highly praises Crane's Maggie: Girl of the Streets as among the very best literary prose written in America in the 19th century. I did some checking and found I could read this short work at Dailylit.com so I decided to read it. Maggie: A Girl of the Streets is a set in its time, the 1890s, in the roughest part of New York City in the areas where poor first and second generation immigrants (Irish from the character names and the knowledge we have of the times) make their homes. Maggie's father is a brutal drunk and her mother is not much better. One night Maggie's brother Tommie gets into a fight. His good friend Jimmie saves him from being badly hurt or even killed. Tommie takes Jimmie home with him. Year go by and in time Maggie and Jimmie begin to form a relationship. I don't want to relay the plot action (it is not to hard to guess given the title of the work!) so I will stop here. The story will seem very like the work of Dickens (but with leaner prose and less vivid descriptions). I do not really like "dialect" speech in novels or stories and this work is about 1/3 dialect speech. I think I dislike it is because it slows down my reading speed. Also I think the use of dialect speech can, perhaps unintentionally, end up as patronizing. For sure this work is worth reading especially as we can read it for free at dailylit.com. "Six Years After" is one of the unfinished stories by Katherine Mansfield (1888 to 1923-New Zealand) that her husband John Middleton Murry included in his collection of her work, The Dove's Nest and Other Stories published shortly after her death in 1923. The unfinished stories are by and large read now only by those who want to read all of her stories. I know now which of her stories are most read (and most assigned in schools world wide) by looking at my blogger stats reports on most viewed posts. I can even now with some accuracy tell, for example, what colleges in Korea and Indian assign her stories. By far the most popular story in terms of class room assignments is "Miss Brill". "Six Years After" reads like a completed story. 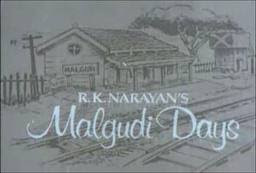 I really liked it a lot for its portrayal of a married couple of 28 years still very much in love with each other. They are on a holiday sea cruise. The depiction of the psychological state that a holiday sea cruise can induce seemed totally spot on to me. Mansfield's ability to so well depict how the man and the woman in this story feel about each other is just further proof of her genius. There is also a very surreal dream sequence. I know this story will only be read by those who already love Mansfield. "Six Years After" can be read here. To me the Literary Book Blog Hop is a great event. 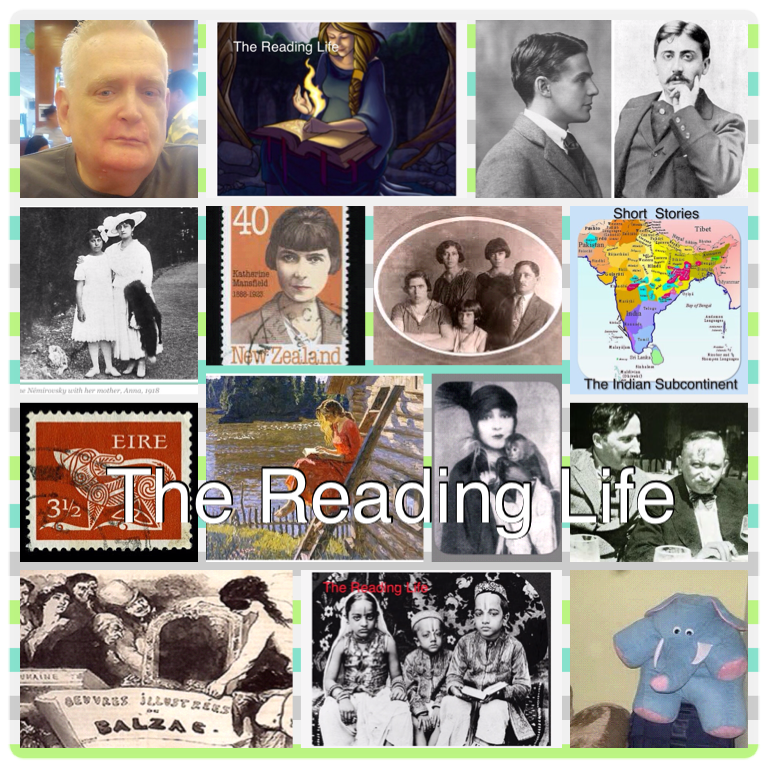 I read and post on mostly classics, short stories, Asian Fiction and what I see as literary novels. Lately I have been very into the work of Katherine Mansfield and Virginia Woolf but I am also reading through the work of Kenzaburo Oe and Junichiro Tanizaki, for example. I admit sometimes I have felt out of place on events where it seems almost all the other bloggers post on young adult books, paranormal and vampire books. 1. Against the Day by Thomas Pynchon-might be last great work by the author of the best (at least) 20th century American novel-I know this may be looked on by many as a very off the mark pick but I see this of all the 21th century books as having a chance to still be read in 100 years. 3. Savage Poets, Nazi Literature in the Americas and 2666 by Roberto Bolano-translated into English in the 21th century-incredibly talented writer-2666 close to instant Canon status and sadly the fact that the author is dead pushes the standing as a future classic up. I think the Literary Book Blog Hop is a great idea. I thank Connie, Ingrid, and Christina for starting it-I think it will be a great success. Jamaica Inn is the third novel by Daphne du Maurier (1907 to 1989-UK) that I have read and posted on this year. Rebecca, by far her most famous work, was my first du Maurier. Everyone seems to really like it and I did for sure. It kept my attention to the end. The consensus second best of her novels seemed to be My Cousin Rachael so I read it next. I liked it also though I found the lead male character very irritating at times. I began to do a bit of research to find a 3rd novel. There seemed no real consensus as to what a 3rd best du Maurier novel might be. The choices seemed to be either Frenchman's Creek or Jamaica Inn. I decided to read Jamaica Inn as I wanted to read another tale set in Cornwall, England where the author spent much of her life. I found Jamaica Inn to keep my interest and to be an exciting read. As the story begins young Mary is going to live in the Jamaica Inn with her aunt and uncle as her own mother has recently passed away. The inn has a sinister reputation in the area. Her aunt, a once beautiful and vibrant woman has shrunk to a poor shadow of her old self. Her uncle is a brutish thug of the worst sort. Mary knows something very evil is going on at the Inn but she at first does not know what it is. One of the best things I liked about Jamaica Inn was the use of the landscape of the moors in the story. A moor is a marshland subject to flooding which has many bogs which can drown those not familiar with the area. In the time of the story, the moors would have been completely pitch black at night. I also liked getting a look at the poor side of Cornwall, the world outside the mansions. I did not find the characters as well developed in this story as in the other two books by her I read. I did not find the primary love story real credible and it seemed almost that du Maurier just added it as she knew her readers at the time would expect a love story. It also seemed to be almost a Gothic overkill at times. There is a movie based on the novel. This is my last post I think for the Daphne du Maurier Reading Challenge which I thank Chrisbookarama for hosting. To me this was a fun challenge as it introduced me to a new to me writer. She may not be a Bronte but she kept my attention and parts of her prose are really well done. I would endorse her books to any one who enjoys a good story well told. 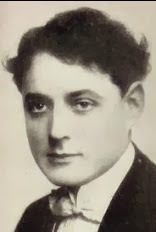 Du Maurier is a GLBT author. If anyone has any suggestions for a 4th of her novels, please leave a comment. "All Serene" by Katherine Mansfield (1888 to 1923-New Zealand) is one of the 15 unfinished stories included by her husband, John Middleton Murry, in The Dove's Nest and Other Stories (1923) which he published very shortly after her death. Some of the stories were fully plotted and Mansfield was basically polishing them. According to Murry she was very critical of her own work and hated to release a work she was not very happy with. Some of the stories seem to stop right in the middle of the story. "All Serene" reads like a story that stops in the middle. "All Serene" begins at the breakfast table with a very much in love young couple. Both want very much to please the other. Their expressions of love for each other initially feel almost "too much". I know Mansfield well enough by now that she will not allow this simple minded a presentation to stand. The man appears to be a successful business man. As they are having their breakfast the man receives a very important seeming letter from a mining company. His wife gets nervous and he tells her nothing to be concerned about he will open it at the office. We never learn anymore. I wonder what happens, of course, and somehow I think the contents of the letter will change their world. The standard of prose is high as always. Some cynics may find the opening love scenes excessively saccharine. Personally I think Mansfield is setting us up. "All Serene", even in its unfinished form, is worth reading online. I think the unfinished stories of Mansfield, for sure among the top five short story writers of all time, also are worth reading as kind of an exercise if we take a bit of time to wonder what Mansfield would have done to the stories had she been able to complete them. "Father and the Girls" is one of the stories that Katherine Mansfield (1888 to 1923-New Zealand) did not finish. Her husband included it in a collection of her work he published shortly after her death, The Dove's Nest and Other Stories (1923) along with 14 other unfinished works. According to John Middleton Murry's introduction to the collection, some of the stories were still in the development stage and others were simply not as polished as Mansfield would have wanted. I am very glad Murry published these works for us to cherish. My posts on the unfinished stories will be brief. "Father and the Girls" seems to me like a partially plotted story, no a story basically completed waiting to be put in publication ready condition. As the story begins Father and his two daughters, the girls, are on a train through Italy. My guess is Mansfield liked trains as they play a big role in her stories. Father and the girls have been on a long Continental train trip. The surprise is that "the girls" are in their 60s!. There is some great prose in this story. This story can be read online at The New Zealand Electronic Text Center. Imagine a 25 layer cake made by 25 of the best Parisian pastry chefs with each layer a different flavor made with no expense spared and you get some of the idea of it. Now imagine as you eat the cake you notice small round balls of something mixed in. Maybe it is opium maybe it is goat waste or even a poison that will produce a spectacular disease that everybody else in the court will marvel at as it overtakes you. Maybe even it is a magic potion that will transform you in ways beyond imagination. The Read Along is structured to match the sections of the book. If possible participants are asked to post once a week for four weeks then do a concluding post. As a sort of mild directive and inspiration Jov has provided us a list of ten possible suggestion points for the first week and first section of the book. At the end of the read along in post five I will do an overall post on the work but for now I will respond to some of the excellent discussion points of JoV. THE history of the Victorian Age will never be written; we know too much about it. For ignorance is the first requisite of the historian—ignorance, which simplifies and clarifies, which selects and omits, with a placid perfection unattainable by the highest art. I think I will use these lines from Strachey as kind of a coda for my reading of Midnight's Children. I think Saleem, not in any sense a classically educated or well read person, is saying two things that may seem contradictory. Firstly as most unreflective historians he may see himself as only able to write or tell what it true. He feels himself limited by the truth. He thinks there is a simple historical truth. Anyone at all familiar with classical Indian philosophy will know that this view of history as a factual thing one cannot step outside of is contrary to the ancient Wisdom texts of India. One of the most quoted lines from James Joyce's Ulysses is "history is a nightmare from which i am trying to awake". The post World Ward II history of Indian has nightmare quality for sure as does the vast poverty that coexists with great riches. In part Saleem wants to escape from what he sees as historical determinism, in part from cultural bonds (there is a reason I am quoting Strachey and Joyce that will become clear later.) These alleged handcuffs are also his excuses for his failures in life. The notion of handcuffs of history is contrary to the basic tenants of Hindu metaphysics. In part this is why Einstein admired Tagore. On the other side of the question (of course there are many sides) is the notion that assuming the truth is not fully determinate by events and happenings is the escapism of mystics through the eons. 3.-Discussion Point Number "Unlike many novels, Midnight’s Children is not written using a linear narrative. Why do you think that Rushdie uses this technique, and do you think that it is successful?" Basically the structure of history is non-linear in the models underlying Midnight's Children. In this structure one cannot hope to understand the present without a knowledge of the past and events of the past get their significance from their relationship to the present and the notion of a "present time" is also a historical/literary construct out of a flowing oceanic river of events- linear narrative is necessarily a travesty of the truth. There are already a number of really good posts on part one of Midnight's Children. I will do an "over all" post on the book after I post on the next three sections. As I post one I will try to explain the references to Strachey and Joyce and hope they will emerge as not just literary name dropping. I'm fond of women. As a matter of fact I'm a great deal more at my ease with women than I am with men. Because I've cultivated them, I suppose. You see, it's like this with me. I've always had enough money to live on and the consequence is I have never had to mix with people more than I wished. And I've equally always had—well, I suppose you might call it a passion—for painting. Painting is far and away the most important thing in life—as I see it. But—my work's my own affair. It's the separate compartment which is me. No strangers allowed in. I haven't the smallest desire to explain what it is I'm after—or to hear other men. If people like my work I'm pleased. If they don't—well, if I was a shrugging person, I'd shrug. This sounds arrogant. I will say "Daphne" does feel like an unfinished story. It seems we are about to learn something about the protagonist's relationship with Daphne but then the piece just ends. "Daphne" is a beautifully written work that seems to come from the heart of Mansfield. It needs to be read by anyone into her work. TO look at Mr. Potts one would have thought that there at least went someone who had nothing to boast about. He was a little insignificant fellow with a crooked tie, a hat too small for him and a coat too large. The brown canvas portfolio that he carried to and from the Post Office every day was not like a business man's portfolio. It was like a child's school satchel; it did up even with a round-eyed button. One imagined there were crumbs and an apple core inside. In the hands of a lesser writer this might have turned into a Walter Mitty story with a twist ending. Mansfield does a beautiful job bringing Mr. Potts to life without reshaping him into something he is not or without ridiculing him. Readers of Mansfield's most popular stories only will be surprised to see the illumination she can bring to the character of someone other than the young women that are often the center of her stories. This feels like complete story in terms of basic content line. Murry tells us in his introduction to The Dove's Nest and other Stories that Mansfield was a harsh critic of her own work and continually refined her stories in small ways. I would urge anyone interested in Mansfield to take the time to read Murry's introductions to her collections. 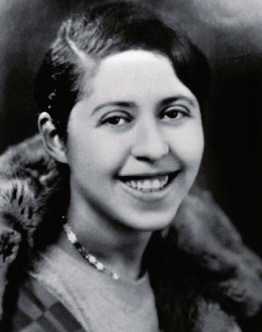 "The Dove's Nest" is the title story in a collection of Mansfield's work published by her husband shortly after her death (1923), The Dove's Nest and Other Stories. 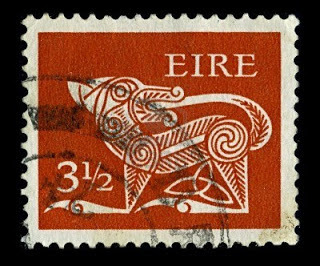 The naming of this collection was in the hands of John Middleton Murry (1889 to 1957). I am assuming given that he named the collection for this story that he considered it one of her best works. Of the twenty works included in this collection, 15 are unfinished stories. Evidently, Mansfield (1888 to 1923-New Zealand) often worked on several stories at the same time. As I near completion of my initial reading of her stories, I plan just to do brief "reading journals" on her uncompleted works. One might say that given the stories of Mansfield often do not have a simple beginning, middle and end structure and do not rely on twists closes as other stories of the period often did, that it would be hard in many cases to tell a fragment from a completed story.
" These are the occasions," said Mother, becoming a little flustered, " when one does so feel the need of our dear English servants. Now if I could just say, ' What is he like, Annie ? should know whether to see him or not. But he may be some common man, selling something—one of those American inventions for peeling things, you know, dear. Or he may even be some kind of foreign sharper." Mother winced at the hard, bright little word as though she had given herself a dig with her embroidery scissors. The mother begins a conversation with her new friend, Mrs Anderson. It appears the mother has been widowed for some years and her friend suggests she might want to meet a very nice well single man who was an American business associate of her husband. The rest of the story is largely devoted to a conversation the mother and the new man. It is well done and I wish it could have been completed. To Mansfield neophytes I would say read her completed stories first. I am glad I read it. Welcome all Literary Book Blog Hoppers-Week Three-What is Literary non-fiction? seems to focus on Young Adult books, paranormal books and what is commonly called "chic lit". There are still a lot of bloggers who read mostly classics and what is commonly called "literary fiction". It was at Rome, on the 15th of October, 1764, as I sat musing amidst the ruins of the Capitol, while the barefooted friars were singing vespers in the Temple of Jupiter, that the idea of writing the decline and fall of the city first started to my mind. "God ordained his most pleasant garden"-non literary prose. 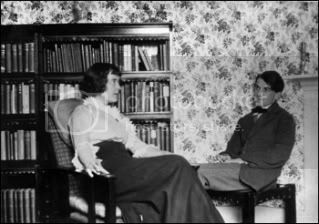 A Room of One's Own first published in October of 1929 was based on a series of lectures that Woolf (1882 to 1941) gave at a woman's college in Cambridge. In many quarters, A Room of One's Own has the status almost of a holy text. Most know it based on one assertion: a woman needs money and a place of her own to write creatively. Like most of the small amount of Woolf's essays I have read I do not find her work really admits of paraphrase in any fashion that does not diminish the power and beauty of her words. I would say to readers of this post that you know you will probably get around to reading A Room of One's Own one day. My only suggestion is to move up the read by date to as soon as possible. It has a great deal to say about the reading life as well as the writing life. I want to quote a bit from the work so the reader can get a feel for the exquisite prose of Woolf. 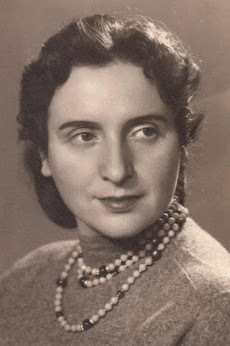 At the same time, on the other side of Europe, there was a young man living freely with this gypsy or with that great lady; going to the wars; picking up unhindered and uncensored all that varied experience of human life which served him so splendidly later when he came to write his books. Had Tolstoi lived at the Priory in seclusion with a married lady ‘cut off from what is called the world’, however edifying the moral lesson, he could scarcely, I thought, have written WAR AND PEACE . You can read A Room of One's Own in just few hours. It can be read online here . I am very glad I have at last read this canon status work and I think most others will also feel the same way once they finally read it. I hope to post on To the Lighthouse and Three Guineas soon. A few months ago I won a copy of The Waves by Virginia Woolf. I had never up to that point read any of Virginia Woolf's work and I really was glad I now had the motivation to do so. I liked The Waves a lot while conceding I was far from "understanding" it. I then read Mrs. Dalloway and Orlando. 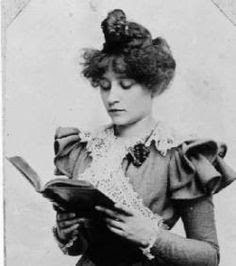 I also read a few of her better know short stories and a couple of essays. I then had pretty much decided to start The Reading Life Virginia Woolf Project which would involved reading at least all the fiction of Woolf. If you take a look at it, the sheer volume of it is not real huge as most of her works are under 300 pages. I also read three very good biographies related to Woolf and her intimates. I read Hermione Lee's wonderful biography Virginia Woolf. I then read Victoria Glendinning's biographies of Leonard Woolf, husband of Virginia, and also her biography of Vita Sackville-West, considered to be the inspiration for the lead character in Orlando. I also read two of Woolf's shorter works, Jacob's Room and Flush. As you read these secondary works and the novels of Woolf you begin to wonder who does the cooking, who cleans the clothes, who washes the dishes, who scrubs the floors, who serves the meals? Mrs. Woolf and the Servants by Alison Light goes a very long way toward answering these questions. Virginia Woolf (1882 to 1941) always had full time servants from the day she was born until her death. Mrs. Woolf and the Servants is more than just a fascinating book about Virginia Woolf. It is also a very illuminating social history of the domestic servant in England from the 1880s up to WWII. Light made me reflect when she said no more than 100 years ago most women with jobs were servants. To be a servant in some cases was to endure a life of constant petty humiliations designed to insure the servant knew who the master was. Of course many who had servants said things like "our servants are practically members of the family" and meant it. What that translated to in practice varied a lot. Most servants did not stay with their employers very long and with the changing social condition in England brought on by the demand for women in factory jobs in WWII fewer and fewer women "went into service". There were even social commentators who saw the decline of women going into services jobs as a sign of the decline of British society. Light helps us understand all these issues. Having full time servants since birth effects people deeply just as growing up knowing at 13 or 14 you will "go into service" has its own devastating effect. My guess is most book bloggers located in the Philippines have full time servants and probably grew up with servants living in the house. We have to ponder as parents how this will shape our children's perceptions of life. 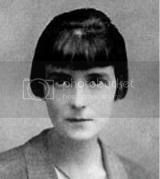 I was very struck by something Light said about Katherine Mansfield. Mansfield, I think, grew up with full time servants. Once she left her parents home in New Zealand she at times had to cook her own food, wash her own dishes etc. Light says the first time Mansfield washed a cooking dish and found out that fat from mutton did not dissolve in water and go down the drain she began weeping. It seems many of the young Bohemians of post WWI London were willing to indulge in all sorts of social and sexual experimentation as long as it did not mean you had to answer your own door or wash your own linen. Light gives us exact details about the lives of many people that worked for Virginia Woolf. In a very interesting postscript to the book she gives us short biographies of the servants who worked longest for Virginia and Leonard Woolf. I think anyone interested in Virginia Woolf and her circle would really enjoy reading this book. I know I did. It also is a very good work of social history of the life of women "in service" in the first half of the 20th century. I think Mrs. Woolf and the Servants: An Intimate History of Domestic Life in Bloomsbury is a valuable contribution to the social history of women. I will next be posting on A Room of Her Own. Alison Light is a part-time professor of modern literature at New Castle University and edited Flush for Penguin Classics. 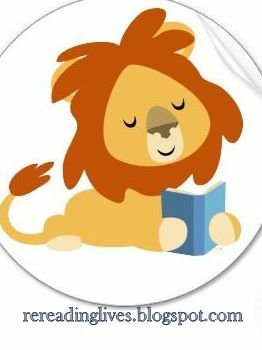 Mrs. B of The Literary Stew and Honey of Coffeespoons are jointly hosting a great event this week, The New York Review of Books week. Participants are asked to read a book published by The New York Review of Books, post about it and leave a comment on the host blogs. The New York Review of Books Publishing company has a world wide reputation for quality productions of sometimes neglected classics. Ivy Compton-Burnett (1884 to 1969-London) wrote her first novel in 1911 and her last was published (after her death) in 1971. 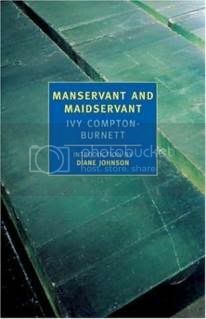 Her most famous and most still read work, Manservant and Maidservant was published after WWII in 1947. To me she should be classified as a "between the wars" British writer even though she her work extends well beyond that era because her sensibilities are really quite Edwardian.. This puts her in the company of Katherine Mansfield , Virginia Woolf, and Ford Madox Ford. The consensus is to see her as a writer of the second order behind the truly great writers of the era. She came from what seems to have been a very troubled family. One of her brothers was killed in WWI and two of her sisters died together in a suicide pact. Of her and her 12 siblings no one had a child. All of the children of her parents were educated at boarding schools. Manservant and Maidservant reads almost like a play. The vast majority of the book is taken up with conversations between the members of the family of Horace Lamb and its mirrored image in the conversations of the man-servants and maidservants of the family. The conversations feel "odd" for reasons I will try to explain. In my post read research on this book I found that many readers have a hard time really liking the book. It is hard to figure out who is talking at times and the cooks and maid talk as if they had been to Cambridge. The conversations were to me very enjoyable for the cleverness and obvious high authorial intelligence. Maybe part of the pleasure of the book comes form imaging a world where people actually talk the way those in the novel do. Homer Lamb is an incredible cheapskate. He married a woman with some money and made it his lifetime work to be as cheap as possible. In the middle of a London winter he begrudges the use of enough coal to heat the house to even a minimally comfortable level. He is also a martinet of correct speech and spend much of his time correcting the grammar and diction of his children. He does not at all listen to what they say for its content but merely for what opportunity of criticism there imperfect speech may afford him. He is completely cold in his relationship with his wife who does seek comfort elsewhere. I think one of the very underlying themes of Manservant and Maidservant is the difficulty in speaking the exact truth. Speech involves selective perception which gets only partially at the truth, by necessity. The servants in the book, in the USA it was originally marketed with the title Bullivant and the Lambs to bring out that the family structure is recreated among the servants with the head servant in the role of pater-familias. In the end the pain Homer Lamb causes his family, of course, comes back on him in an unexpected way. When there is prose in the book not devoted to conversation it is very well done and clearly the product of a very cultivated author. I would recommend this book to those who enjoy well done conversations in the works they read and are willing to accept that they will have to follow the book closely at times to figure out who is speaking. The book looks back to a world that was coming to an end when it was written. The days when middle class English women had servants came to an end during WWII. In some ways Compton-Burnett is considered a modern writer in that she allows the action of the book to carry the plot and she "shows rather than tells us" what is happening but the sensibilities and concerns of the book seem to me to harbor back to the immediate post WWI era. It is hard for me to say generally if I would recommend this book to someone I did not know. I can see those who like more action being bored with the books lack of action (two big things do happen or maybe almost happen). I can see some seeing the book very much as a period piece. If you do not like BBC theater TV dramatizations of classic English novels you will probably not like this book. If you like a beautifully written book with a lot of subtle points I think you might like Manservant and Maidservant. I am glad I read it. I wish to thanks Mrs B and Honey for their hard work in hosting this event. The Blue Book Case last week started an event called "The Literary Book Blog Hop". Most book blogs seems to focus on Young Adult books, paranormal books and what is commonly called "chic lit". There are still a lot of bloggers who read mostly classics and what is commonly called "literary fiction". "Widowed" by Katherine Mansfield (1888 to 1923) was first published in 1921 and was included by her husband, John Middleton Murry, in his collection of her stories, The Dove's Nest and Other Stories published shortly after her death in 1923. When I first read "Miss Bliss" in May I knew then I would read a few more of her stories. It took me about five stories (out of her 85 or so) to decide to read and post on all of her completed stories. My method of approach was to read the stories in each of the five collections edited by Mansfield and her husband or after her death Murry alone. I read them all online at the wonderful New Zealand Electronic Text Center. There are a few stories that are not in the five collections, mostly very early stories and these I have not yet read. I was sort of determined to do all my reading online rather than buy a collection of her complete stories so others could share in the experience of the stories. I have been reading Mansfield regularly for six months now. I am going to soon post list of recommended Mansfield stories. One benefit of posting on so many Mansfield stories is I can tell what Mansfield stories are most assigned in class rooms throughout the world by seeing which of my Mansfield posts are most viewed. I am sure now Mansfield is being read all over the world. "Widowed" is a marvelous story of a happy marriage. It is a beautiful work of art. "Weak Heart" by Katherine Mansfield (1888 to 1923-New Zealand) was first published in 1921 and was included by Mansfield's husband, John Middleton Murry, in The Dove's Nest and Other Stories (1923). On May 19 this year I read my first ever story by Katherine Mansfield, "Miss Brill". According to my blogger stats my post on "Miss Brill" is now the most read post on my blog. After reading three or four more stories and doing some secondary reading on her I decided to read and post on all of her short stories. Her total output of short stories is around 800 pages. 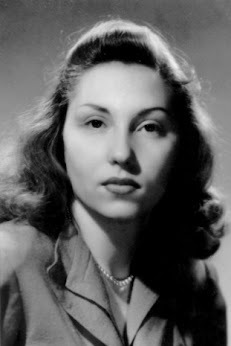 Murry also choose to publish about ten of her not yet completed stories in the collections of her work he published after her death. It seems Mansfield had in mind writing a novel and a play but she never really got going on them before final illness took her at 35. It looks to me like Mansfield completed 89 stories. It looks like about 7 or 8 of the completed stories (mostly very early ones) are not yet online. Her collected letters have been published as well as a note book of her thoughts and reflections. I am very near the end of the project of posting on all of her stories (that I can read online). Besides "Weak Heart" there is one more story in The Dove's Nest and Other Stories. I will do only very brief notes on these two stories. "Weak Heart" is a very intense story set in New Zealand. I really do not think this story admits of an easy retelling or paraphrase. I will only say it is very well worth reading and to me among her best work. Once I complete my post on the next story "Widowed" I will do two more posts, I think. One on recommended stories of Mansfield for those who want to read one, three, or five of her works. I will also do one about online resources for reading and learning about Mansfield. My feeling is I will never be "done with" Mansfield. "Mr. and Mrs. Williams" is one of the stories reprinted in 1923 in The Dove's Nest and Other Stories by John Middleton Murry shortly after her death. Mr. and Mrs. Williams have just astounded everyone they know in Wickenham by announcing that they are going on a three week holiday in Switzerland. This story is sort of a snap shot of post WWI ebullience in small town England. It also illustrated how the war changed the language and brought lots of new words into currency.
" Kit" was a word in high favour among the Wickenham ladies. It was left over from the war, of course, with ' cheery,' ' washout,' ' Hun,' ' Boche,' and ' Bolshy.' As a matter of fact, Bolshy was post-war. But it belonged to the same mood. (" My dear, my housemaid is an absolute little Hun, and I'm afraid the cook is turning Bolshy . . .") There was a fascination in those words. To use them was like opening one's Red Cross cupboard again, and gazing at the remains of the bandages, body-belts, tins of anti-insectide and so on. One was stirred, one got a far-away thrill, like the thrill of hearing a distant band. It reminded you of those exciting, busy, of course anxious, but tremendous days when the whole of Wickenham was one united family. And, although one's husband was away, one had for a substitute three large photographs of him in uniform. To me these few lines beautifully capture the post war mood and also let us see how victory can also produce a down turn in mood as well, paradoxical as this may seem. The Blue Notebook is a purely fiction account of the life of Batuk, set in contemporary Mumbai, India. At age nine Batuk's kind and loving acting father sells her to a brothel keeper that deals in child prostitution. 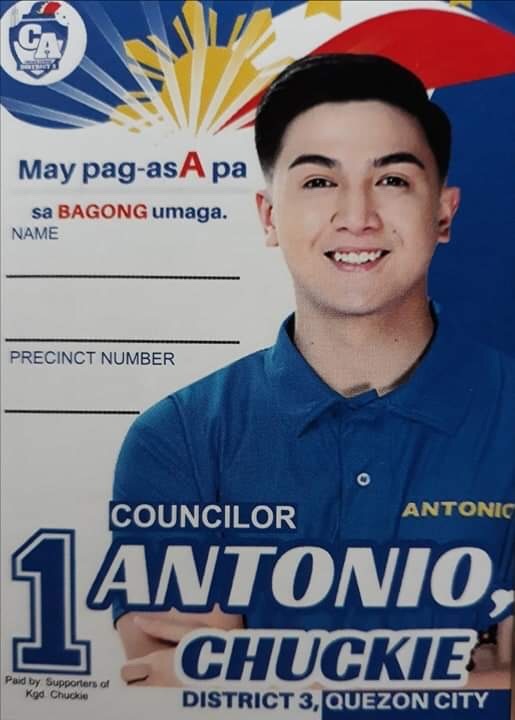 We never learn what the pressures were that drove him to this. We witness Batuk's initiation into the life of a child prositute and witness an auction in which she is offered on her first night to the highest bidder. Batuk had learned to read and write at hospital she spent some time at while being treated for Tuberculous where one of the nurses taught her to read and write. As the next few years go by Batuk begins to somehow see life in the small brothel as normal. Some terrible things happen to her and the other children, one of whom is a young boy. A lot of the prose in The Blue Notebook is really well done. One might ask how did Batuk learn to write so well with such a large vocabulary with no formal schooling but I see no need to press the book hard. Of course this is possible but it strains credibility a bit. At age 15 something very big happens to Batuk. The Blue Notebook gives us a very sharp look at a very ugly side of contemporary Indian society. In the spirit of the recent Literary Book Blog Hop, I would say The Blue Notebook bordered on being literary fiction. I found the book kept my attention throughout and I for sure wanted to know what was going to happen next and I wanted very much for Batuk to have a rags to riches story. There were some quite interesting secondary characters in the book. 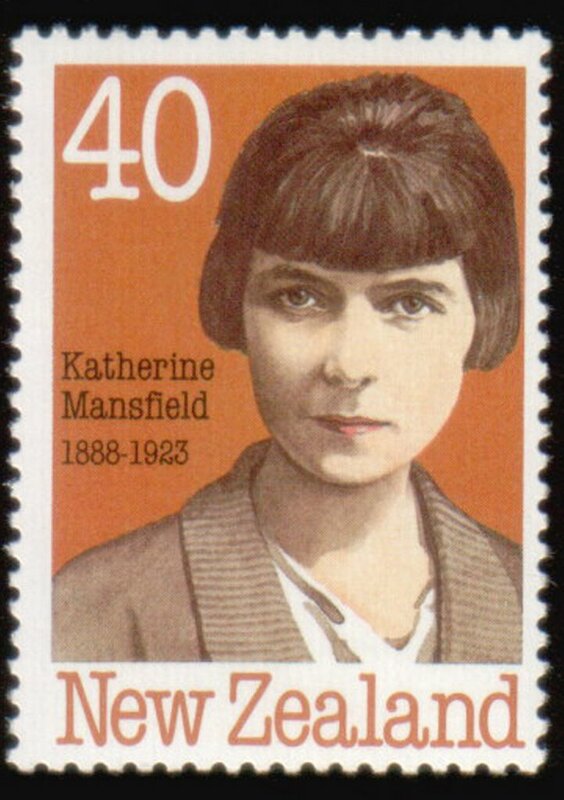 "Second Violin" by Katherine Mansfield (1888 to 1923-New Zealand) is among the stories included in The Dove's Nest and other Stories, a collection of Mansfield's stories published and edited by her husband John Murry shortly after her death in 1923. 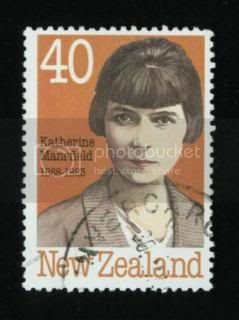 Part of the popular image of Katherine Mansfield is of a young woman traveling about England and Europe in the company of literary bad boys while living off an allowance from her father, the disapproving Chairman of the Bank of New Zealand. I strongly urge those interested in getting an accurate understanding of Katherine Mansfield to read Kathleen Jone's new biography, Katherine Mansfield: The Story Teller. (Stay tuned for an opportunity to win a copy of this book.) You should also take the time to read the prefaces to the collections of her work edited by her husband, whose prose I find very elegant. A FEBRUARY morning, windy, cold, with chill-looking clouds hurrying over a pale sky and chill snowdrops for sale in the grey streets. People look small and shrunken as they flit by; they look scared as if they were trying to hide inside their coats from something big and brutal. The shop doors are closed, the awnings are furled, and the policemen at the crossings are lead policemen. Huge empty vans shake past with a hollow sound ; and there is a smell of soot and wet stone staircases, a raw, grimy smell. . .
"Second Violin" is considered to be an unfinished work brought into publication by Murry. "Second Violin" along with most of her other stories and some of her letters can be read online at the New Zealand Electronic Text Center .